For a second weekend, Union Pacific Railroad (UPRR) will be doing maintenance work on the Steel Bridge. During the work, the bridge will be closed to all traffic including TriMet buses and MAX trains, affecting late night rides and Sunday/Monday morning commutes. Last weekend, there was a similar closure, but the Monday morning commute fell on the President’s Day holiday, when traffic and ridership were lighter. This weekend’s work will affect a regular Monday morning commute, and MAX riders should plan extra time to transfer to shuttle buses or regular service buses to cross the river. If UPRR notifies TriMet that they will complete their work prior to 4 a.m. on Monday morning, MAX trains and buses would begin the day with regular service across the Steel Bridge. However, we will need that notification by 9:30 a.m. Sunday morning due to the required coordination it takes to get equipment and personnel in place without having a major impact to schedules. 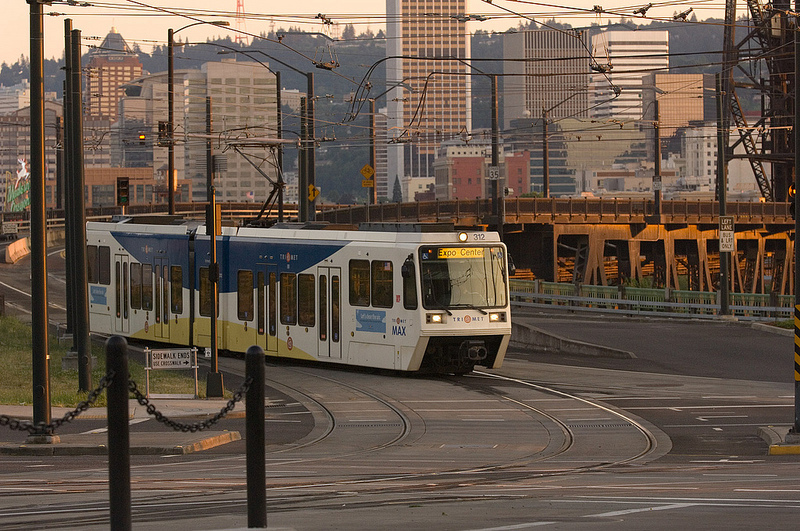 If UPRR is unable to notify TriMet by that time or the work extends past 4 a.m. Monday morning, we must continue with the plan for shuttle buses to replace MAX service across the bridge until 8 a.m. regardless of when the work is completed. Riders should check trimet.org/alerts before heading out Monday morning. Saturday, Feb. 22 – Sunday, Feb. 23: 11:00 p.m. through 8:30 a.m.
Sunday, Feb. 23 – Monday, Feb. 24: 11:00 p.m. through 8:30 a.m.
Sunday, Feb. 23: 12:00 a.m. through 8:00 a.m.
Monday, Feb. 24: 12:00 a.m. through 8:00 a.m. Shuttle buses will take riders between the Rose Quarter Transit Center and the Old Town/Chinatown Station and Union Station as close to MAX scheduled times as possible. We will have three trains circling the Transit Mall on 5th and 6th avenues. 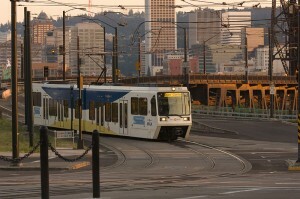 Affected riders should plan extra time and check service impacts the day of a disruption at trimet.org/alerts. TriMet’s online trip planner makes it easy to plan a trip, with information on travel and walk times, transfers and cost. Visit trimet.org, m.trimet.org for smartphones.